Pennywise The Dancing Clown appears. Someone says, "Summer," or "Float." 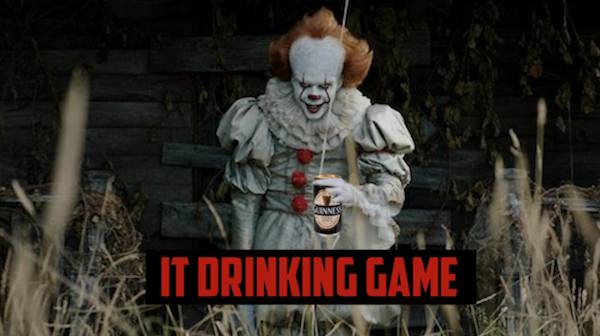 Finish your beer when poor Georgie dies. *Note: this is the only rule that won't conform to the 1990 miniseries. You can incorporate a waterfall when Pennywise comes up the drain in the shower as a substitute for that version. The winner is whomever is floating the most by the end of the film.